Welcome to Chandler's Hometown Soccer Academy! 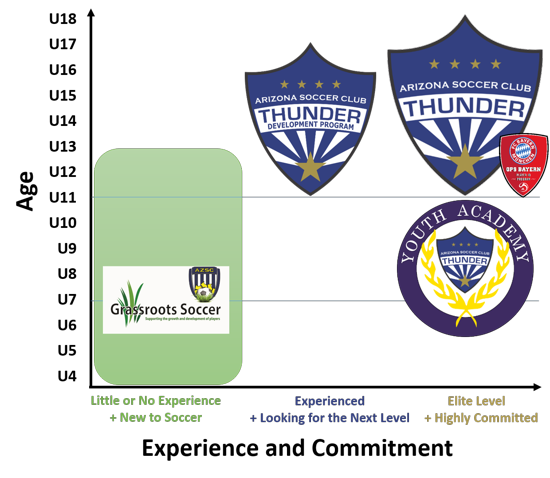 Chandler Soccer Academy (CSA) and Arizona Soccer Club (AZSC) are partnering together to provide our Grassroots Recreational Program (GRP) to the Chandler community. 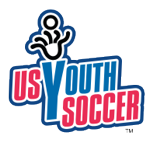 The Grassroots Recreational Program is for players from 3 - 13 years of age and is for players who want to have fun and learn the fundamentals of soccer. The CSA/AZSC Grassroots Recreation Program (GRP) curriculum follows AZSC's philosophy based on the Developmental Model from US Soccer that emphasizes a developmental sequence of acquiring technical skills and tactical concepts according to each child’s level of ability, interest and maturity. Whether you are looking to take the next step (Thunder Development Program) or your an Elite player looking for an Elite team (Thunder Program), our competitive program has a track record of success. We have a history of developing our athletes, not only as soccer players but as quality people. We are always on the cutting edge of player development, and we put a plan in place for every component of the game (technical, tactical, psychological and physical), at every age group (U11 through U18) and for each gender (boys and girls). Teams will compete in the AYSA Open or State Leagues. Sign-up to get field status! IT Partners is an award winning IT solution provider, focused on enterprise size commercial, education and government organizations. For over 10 years we have helped our customers design and deploy data center infrastructure solutions that are highly available, scalable, efficient and easier to manage. We help customers optimize or transform their IT infrastructure to reduce cost, increase efficiency and more effectively address business or regulatory demands. Cheyenne Construction and Development Inc. has been building, remodeling, and renovating in the valley since 1975. We are an Arizona based, family owned and operated business striving to not only meet, but to exceed the customers expectations on every level. Whether the project is a large, luxury, custom home or a simple bathroom face-lift, Cheyenne Construction and Development Inc. integrates quality and integrity into each and every job, regardless of the contract price. We have maintained close relationships with many of the sub-contractors that we have been using for many years, assuring us of no surprises and quality work that we expect. ©2019 Chandler Soccer Academy / SportsEngine. All Rights Reserved.